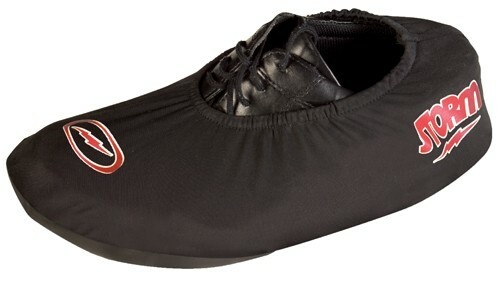 Keeps shoe dry and clean by protecting your shoes from water and debris. Better sizing guidelines are a must. For a mans size 10 or an 11 the reg size is a real stretch and I am sure it will shorten the life of the cover. I used this shoe cover for approximately two hours during my league night and it began to fall apart at the seams. I wear a size 12 shoe and purchased the large shoe cover which claims to fit sizes 11-14 which it does, but the cover began to fall apart after minimal use. When I first pulled it out of the packaging I thought it was very nice and it appeared to be good quality. Turns out I was wrong. excellent product, easy to put on. Due to the time it takes to produce the Storm Mens Shoe Cover - Single ball it will ship in immediately. We cannot ship this ball outside the United States.